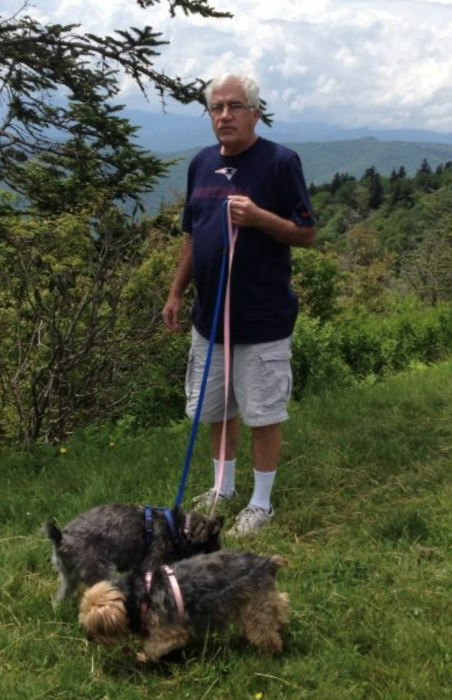 Maggie Valley, NC David Anthony Matta, age 73, passed away on Sunday, January 27, 2019 at Memorial Mission Hospital. A native of Brockton, Massachusetts he was the son of the late Thomas and Lois Shulenberg Matta. In addition to his parents he was preceded in death by his brother Richard Matta. David was a tile contractor and enjoyed playing cards, watching the Patriots, spending time with his grandchildren and was a great fan of playing practical jokes on everyone he knew. He enjoyed going to the casino, doing home improvement projects and spending time with his friends in Maggie Valley and Massachusetts and debating politics. David is survived by his wife of 37 years, Joyce Nader Matta; four daughters, Lois Folan (Christopher), Stacey Matta (Pam), Sandra Hofmann (Yves) and Jennifer Sinclair (Craig); son, Michael Matta (Roseanne); two sisters, Susan Brooks and Jayne Matta; and several grandchildren, nieces and nephews. A Memorial Service will be held at 12:00 Noon on Sunday, February 10, 2019 at Grace Episcopal Church, 150 Chapel Street, Norwood, Massachusetts. In lieu of flowers, memorials may be made in David’s name to Lifeworks Inc. 789 Clapboardtree Street, Westwood, Massachusetts 02090.